Summer’s in full swing, and for so many Canadian families, that means getting outside to enjoy the sunshine. Whether your family enjoys a long bike ride, canoeing or kayaking, or a hike throughout Canada’s beautiful terrain, active families who lead an energetic lifestyle need simple solutions to fuel their pursuits. 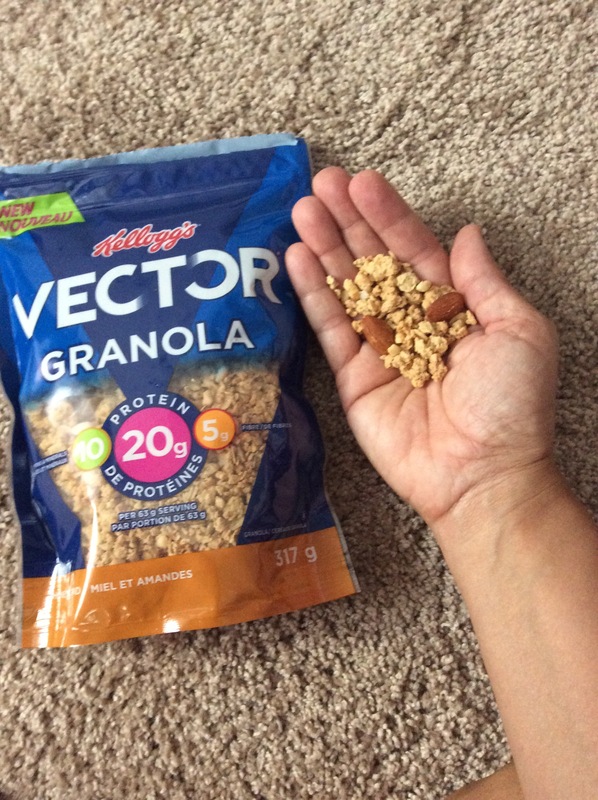 To meet the needs of today’s ambitious, active Canadians, Kellogg’s has recently launched NEW Vector Granola Honey Almond Flavour – with 20g of protein, 5g of fibre, and 10 vitamins and minerals per serving. Vector Protein* Bars have 11 g of protein per bar (40 g), lots of crunchy nuts, and are dipped in a smooth, chocolatey coating. Available in Peanut and Mixed Nut, they’re not only sweet and salty, but also chewy and crunchy. Vector* Meal Replacement has a delicious mix of great-tasting, crunchy flakes and granola clusters. One 55 g serving with 200 ml of skim milk provides 13 g of protein, 54 g of carbohydrates and 22 vitamins and minerals. Vector* with milk is a Meal Replacement. Vector* Energy Bar Nutritional Supplement provides energy and nutrients to help you reach your goals. Choose from Chocolate Chip, with real chocolate chips and rolled oats, half-covered in a chocolatey coating. Or Berry Burst, with real fruit and rolled oats, half-covered in a yogurt coating. 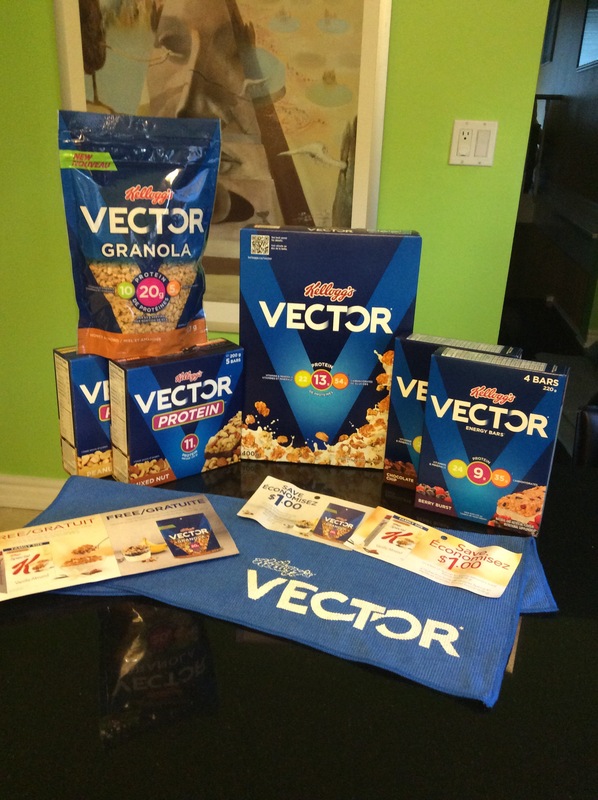 For more information visit: http://www.kelloggsvector.ca/ As a Kellogger, I often get to try out new product even before you do. That means I get to report to you what I think of them before you even get a chance to purchase them! You can try NEW Vector Granola with hot/cold milk, or even with yogurt, but I’m often on-the-go so I like to tuck some into my purse (in a zipped up baggie) so I can snack on it if/when I get hungry while running around doing errands. Whichever way you choose, I’m sure you’ll love it! 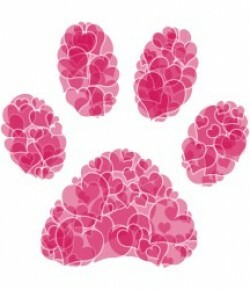 Here’s the link to a $ off coupons! Prize: See below for an example of the prize pack – prize may not be exactly as shown. It’s delicious and nutritious! We buy the cereal all the time, it’s super filling! I really like the taste of Vector cereal! I like that Vector is a good source of protein to help me fuel my day. I love the taste of Vector and it is a source of Protein. It makes for a great choice for breakfast to get your day started. What I like about Vector is that it is a very good source of protein for those busy day when I don’t have time to eat properly. I have never tried Vector products before.But these seem good for you and they all look really good. I’d like to try the Protein bars. We like Vector cereal because it tastes great. The amount of protein and fibre add to it’s appeal. I love to add granola to yogurt so now that I know it will soon be available I will watch for it when I shop. 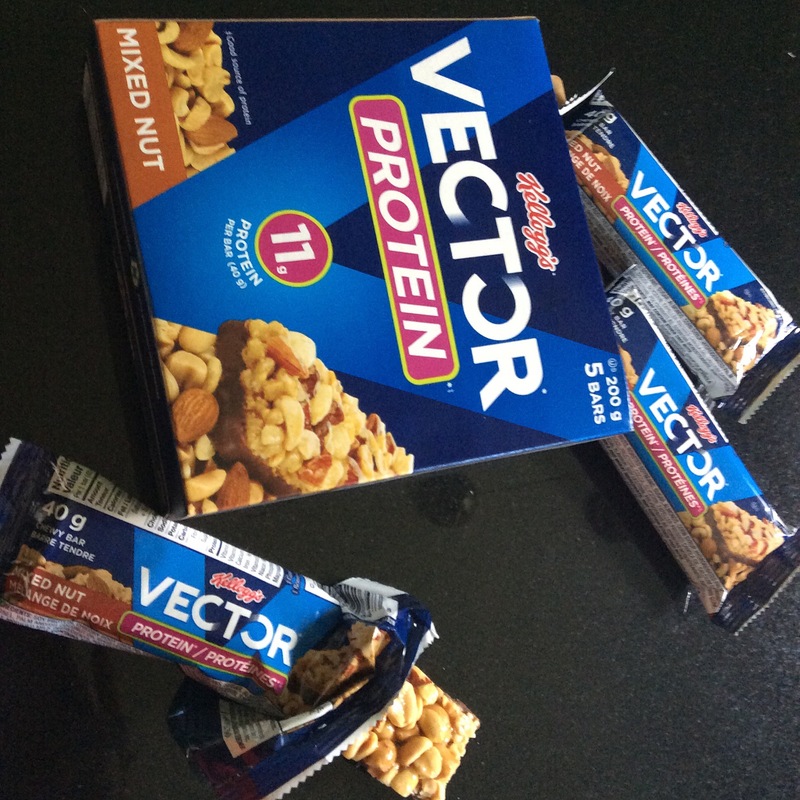 We love the taste, crunch and nutrition of Vector! I like the taste of Vector cereal. I think I would also really like the granola! What I like about Vector is that it has a higher protein count and doesn’t make me feel hungry soon after eating it like other cereals. It also tastes great. I love the protein in vector,and how well it keeps my feeling full when I eat it. I love the high protein in their products! I like the flavor and I also very much like how the nutrition is outstanding in Vector. I absolutely love the taste and that it’s super healthy. I haven’t tired this yet, but would love to try it!! I haven’t tried Vector products yet, but they look like they’d be a tasty snack. I love Vector because it’s nutritious and delicious! Have never tried it too be honest. I love that Vector is a great source of protein! I need to try this! I love how tasty it is! 🙂 YUMMY! Vector is yummy as well as full of protein and fibre to keep me full. I haven’t tried Vector before, but I do like how healthy the granola sounds. I really enjoy the taste of Vector. I love that it tastes great! The Graonola Will be great on Yogurt. I love that Vector is FULL of protein and tastes great! I like that it has a lot of protein and isn’t too sweet. I love how widely available it is. Some healthy cereals are nice but are only available at limited locations; Vector isn’t! I like it because it’s not too sweet. I like the nutritional value for the calories. I love Vector because it’s delicious, a great source of protein and my family enjoys it.